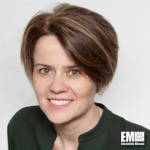 Maria Pernas, formerly senior vice president and group general counsel at information technology company Atos, has been named group general counsel at consulting, technology and outsourcing services provider Capgemini. She previously managed contract management and regional legal functions at Atos and served as group diversity program manager for the Bezons, France-based company, Capgemini said Thursday. “Maria brings to Capgemini a deep and varied legal background built throughout an international career, where she has held significant managerial and commercial responsibilities, along with over 20 years of experience in the IT industry,” said Jean-Baptiste Massignon, general secretary and group executive committee member at Capgemini. Pernas joined Atos, then called Sema Group, in 1998 as general counsel for Iberia, Africa and South America and went on to hold various leadership positions focused on legal, compliance and contract management. She started her career as an external legal adviser at Price Waterhouse, which merged with Coopers & Lybrand in 1998 to form the professional services company now known as PwC.